You never know when you are going to need a jump start! 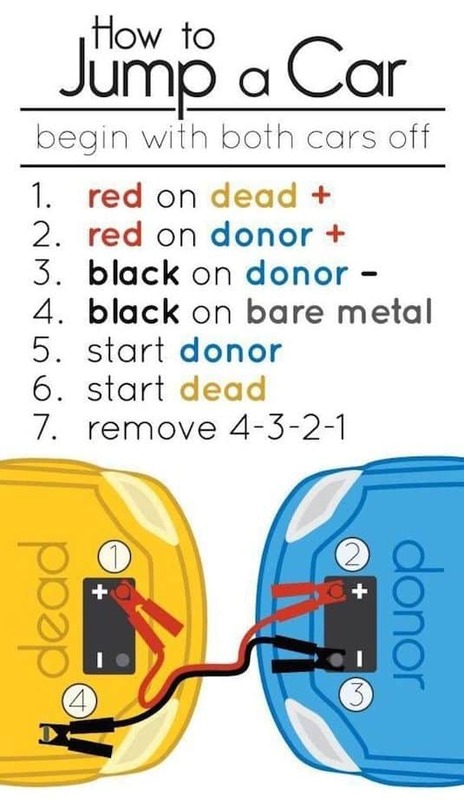 Most importantly, make sure you have jumper cables with you at all times, and then use this handy guide to make sure you get the job done right. Even better, print it out and keep in your glove box. This creative DIY shelf for the back of an SUV costs less than $30, and is well worth it! 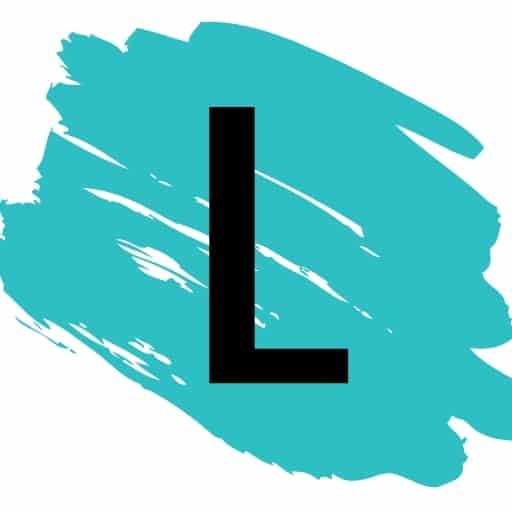 It creates close to double the space when loading groceries, and I especially like how it hides purses and bags so you can leave them in the car without worrying about theft. But, the best part about this shelf is that it easily pops down when you don’t need it. Go check out the step-by-step instructions over at instructables. 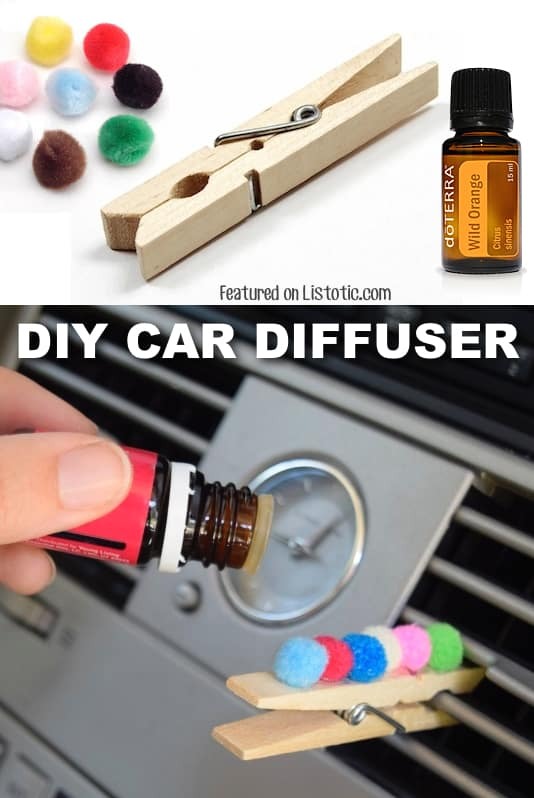 Keep your car smelling fresh and chemical free with just a few items you probably already have at home! Hot glue a couple of mini pom poms onto a clothes pin, and add a few drops of your favorite essential oil(s) whenever you need it. Check out more essential oil tips like this here.